A report by the Conference Board of Canada, released on September 6th, has necessitated increasing immigration to Canada in order to support economic growth as the population ages. Annual immigration will need to be raised to 407,000 by 2030, otherwise the economy could decline as demographics indicate a rapidly aging population. At present, 16% of the Canadian population is aged 65 and over, but the ratio is expected to increase to 24% by 2030. “The aging of Canada’s population will have a significant impact on Canada’s potential economic growth. Weaker labour force growth will have a negative impact on household spending, while a more slowly expanding economy will engender less investment spending,” the report states. While Immigration Minister John McCallum has hinted the Liberal government’s intent to increase the number of immigrants “substantially,” current immigration levels and Canada’s natural population increase are projected to slow economic growth from 2% per year to 1.6% per year by 2050. The report indicated that from 2030 to 2050, immigration growth must be raised annually to 2.1% of the population in order to improve Canada’s economic growth to 2.3% by the middle of the century. Canada has been weary of its aging population for some time, and being the second largest country in the world (with a population of only 36 million people), increasing migration to the country seems to be the solution. As such, there has never been a better time for Canada to advocate free movement with Australia, New Zealand and the United Kingdom. By introducing our proposals for free movement, Canada would have unrestricted access to Australian, New Zealand and British workers; citizens who share a similar culture, economic outlook and skills required for assimilation into the Canadian economy. Furthermore, our research indicates that 54.4% of our supporters are aged between 21 and 34 years of age. 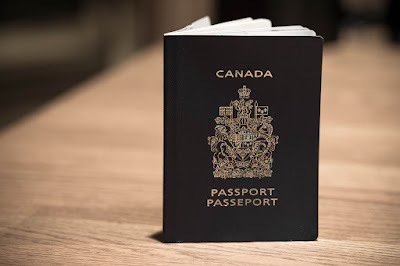 By encouraging free movement between the CANZUK nations, Canada would receive significant numbers of individuals from Australia, New Zealand and the UK who are younger than 35, thereby resolving the need for immigration and aging population issues. We will be reaching out to senior officials in the Canadian parliament, explaining why freedom of movement would not only be the ideal solution for Canada’s aging population, but also the government’s requirement for migration to assist economic growth for the future.